Since the study was funded, CODA’s Patient Advisory Group has helped the research team to develop evidence to support patient and clinician decision-making. Ensuring the inclusion of potential misdiagnosis of appendiceal cancer in the informed consent process; giving input on the patient recruitment video; and taking part in a research letter about our engagement approach that was published in JAMA Surgery are among their accomplishments to date. 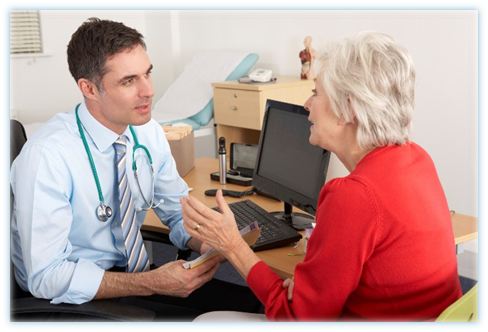 Our patient advisors are also important partners for guiding dissemination of research findings in a manner that is accessible to patients and the public. “My public health background, along with my personal experience with appendectomy and diagnosis with a rare form of appendiceal tumor, inspired me to join the CODA Patient Advisory Group,” says Meridith Weiss, who attended her first meeting in October. “I believe this study can help make it easier for patients to make an informed decision about which treatment option works for them, and to gain data on a population level to guide clinical practice and help standardize and improve decision-making pathways." Our National Advisory Group is made up of leaders from public and private payers, national employers, research policy and clinical organizations, and surgical quality improvement collaborative groups. The primary purpose of this group is to help with dissemination of results to clinicians and patients as well as implementing any changes in the standard of care related to appendicitis based on study results. The first meeting of our National Advisory Group was held on January 13. Among the topics discussed were adherence to the antibiotics regimen, how benefit and payment structures should be addressed, and communication strategies for dissemination and implementation. Both advisory groups are led by Danielle Lavallee, PharmD, PhD, director of CODA’s Stakeholder Coordinating Center. As a patient-centered outcomes researcher, her work focuses on developing processes for collecting and reporting patient-reported data to support both clinical and patient decision-making. She is also the lead of the CERTAIN Patient Advisory Network, where she leads activities to facilitate patient involvement as partners in research. We thank all our advisors for ensuring that research efforts stay focused on advancing patient care!